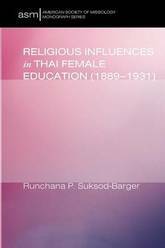 In this study, Runchana P. Suksod-Barger examines the impact of religion on female access to education in Thailand from 1889 to 1931- the early Modernisation Period in Thailand. Although Thailand is traditionally a Buddhist nation-state, Protestant missionaries during this era arrived in the country to convert Thais to Christianity. The Protestant belief in literacy, to enable everyone to read the Bible, opened up educational opportunities for Thai girls that had not previously been available to them. 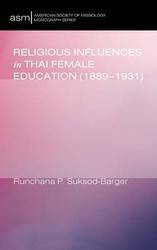 Suksod-Barger investigates the degree to which Buddhist and Christian influences affected Thai educational reforms for girls in primary and secondary education during the early Modernisation Period, using a feminist theoretical framework to understand the social, political, economic, and religious impact. 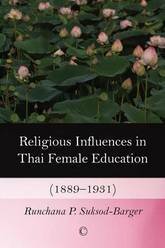 The study contributes to the exploration of the historical and contextual discourse of Buddhism and women in Thailand, the history of education for Thai females during the early Modernisation Period and the overview of Protestant missions in the country, particularly their influence in establishing systems of mass education.